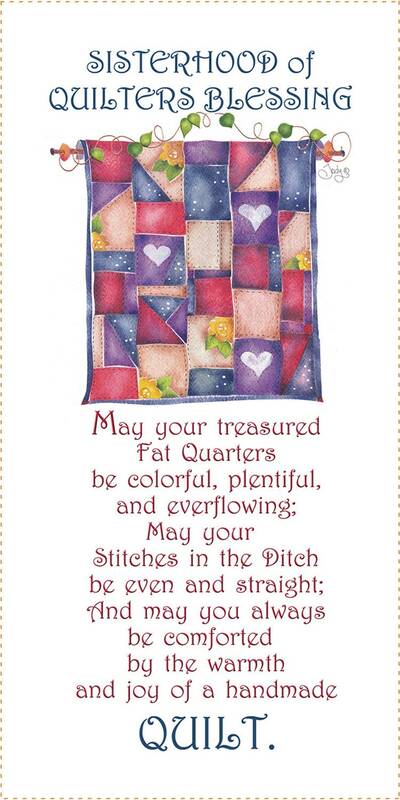 This design is part of Jody's original Sisterhood of Quilters collection. 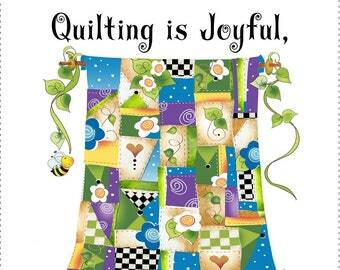 It is used as a focal element in a quilt, wall hanging, pocket on a tote bag to name a few projects. 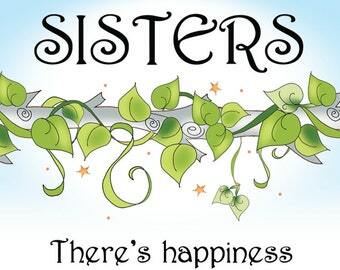 It is 5" x 10", professionally printed with permanent dyes in the USA! It is often mixed and matched with others in this palette, including the Logo print in the 10" x 12" Section of the website.